NEW MODEL! RRP: £90. SAVE £28.21 (Inc VAT)! 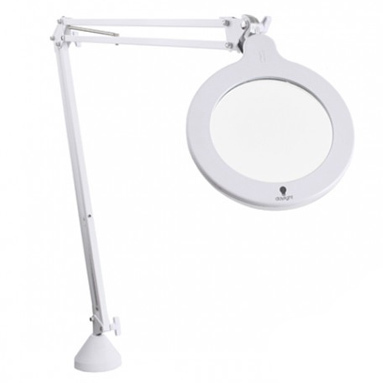 Daylight Mag Lamp S is a modern and attractive slim design magnifier, ideal to see and work on projects where detail is key. It has 2 brightness levels and a 12.7cm (5") diameter, 3 diopter (1.75X) glass lens. The adjustable spring arm will allow you to position the magnifier exactly where you need it. Modern and attractive slim design. 12.7cm (5") glass lens, 3 diopter (1.75X). Easily adjustable spring arm - hold any position. Replaces Daylight Naturalight DN1020 magnifying lamp.